beqom, the provider of a cloud-based total compensation solution, recently announced its selection by another global bank to provide automated management of the bank’s global compensation processes. The bank, headquartered in the U.S., operates in over 40 countries worldwide and joins beqom’s growing client list of tier one financial services institutions. The beqom solution is favored by large financial services firms based on its ability to flexibly manage sophisticated global compensation processes on one integrated platform without compromise. These world-leading financial institutions use beqom to ensure fair and competitive pay for each market in which they operate, helping to attract the best talent and reduce turnover. Typically, financial sector firms have managed compensation using a patchwork of multiple systems and decentralized manual or homegrown processes that are time-consuming, inefficient, subject to errors, and difficult to audit. In an age of growing compliance requirements and increased reliance on secure cloud-based IT solutions, these institutions look to streamline and centralize their processes, cut costs, reduce risk, and provide the transparency and traceability required by regulators and auditors. Such projects are often CEO-driven priorities. beqom directly integrates with HRIS systems, combining people data with other sources of information that can be used to plan, accrue, and manage compensation, such as market benchmarks, sales data, and performance results. Aided by Artificial Intelligence and Machine Learning, beqom uses this data to predict performance and optimize compensation models and incentive plans. The solution also helps identify employee challenges and talent risks, in order to increase employee performance, engagement and retention, and ensure fair and appropriate compensation. By providing a central repository for compensation data, along with workflow and simulation capabilities, beqom gives managers a holistic view of compensation for their employees, enabling them to most effectively allocate their compensation budget to align and motivate their teams, while ensuring pay equity and pay for performance. 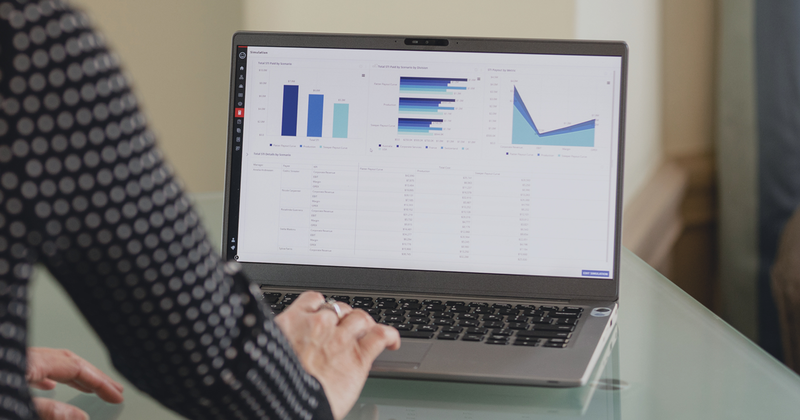 Integrated reporting and predictive analytics provide timely information to all stakeholders, such as total rewards statements for employees, dashboards for HR and managers, and reports for auditors, regulators, and the board of directors.